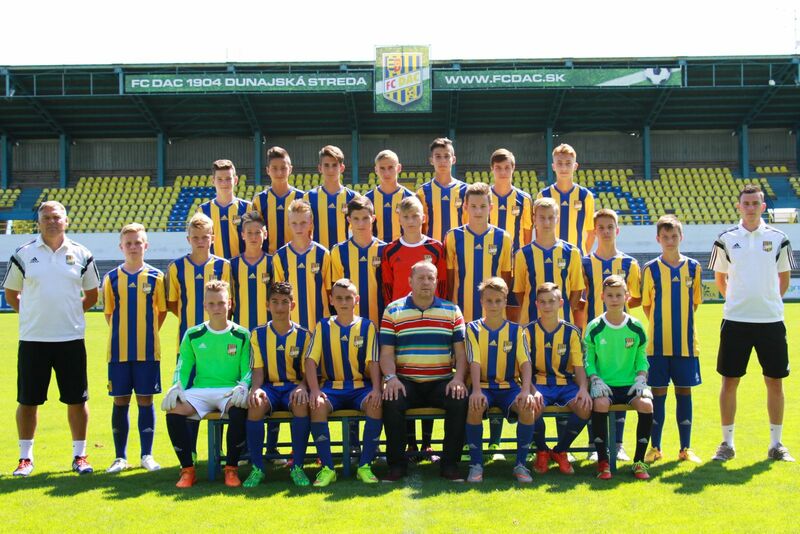 FC DAC 1904 Dunajská Streda is a Slovak football team, based in Dunajská Streda. In the 2007 to 2008 season, the team were the west group champions of the Slovak Third League. In the 2008 to 2009 season, after merging with FC Senec, the team entered theSlovak Superleague. The first organized sports club in Dunajská Streda, the Dunaszerdahelyi Atlétikai Club Dunajská Streda Athletic Club was founded in 1904. At the time, football was a popular sport. The club survived both world wars and continued to 1953 when the team won the Bratislava district one A grade premiership. In 1968 and 1969, the team advanced in the Western Division of the third league before returning to the regional competition. In the 1977 to 1978 season, the team again entered the third league coming sixth. In the 1978 to 1979 competition, the team came seventh. In the 1979 to 1980 season, the team won their division and was promoted to the Slovak National League (SNL 1 – second level). DAC finally promoted to Czechoslovak First League in 1984–85 season. DAC was 3rd at this league in 1987–88 season and 4th in 1990–91 and 1992–93 seasons. They finished Slovak Superliga as 3rd in 1993–94 season. But, their form was lowered after this season and relegated to 2nd level in 1997–98 season. They immediately returned to top level but relegated again in 1999–00 season. They relegated to 3rd level in 2006–07 season. They immediately returned to 2nd level but relegated again in 2008–09 season. They made successively 2 promotions and returned to top level in 2013. Since 2013, DAC has been affilitated with ŠK Senec. In 1987, DAC were the Slovak Cup and Czechoslovak Cup winners.